$10This means a lot. Thank you for supporting us. We'll recognize everyone who invests in our festival in meaningful ways. $25The feels! We are so thankful to you. We'll recognize everyone who invests in our festival in meaningful ways. $50Dang it, our hearts are so full of gratitude. There is power in contributions like this. Imagine 100 people investing in our dream at this level! $100Ah shucks! We promise you'll thank you in meaningful ways! $250Holy smokes! Words cannot describe the feels. We don't know yet how to thank you, but we sure will find the best way we can! 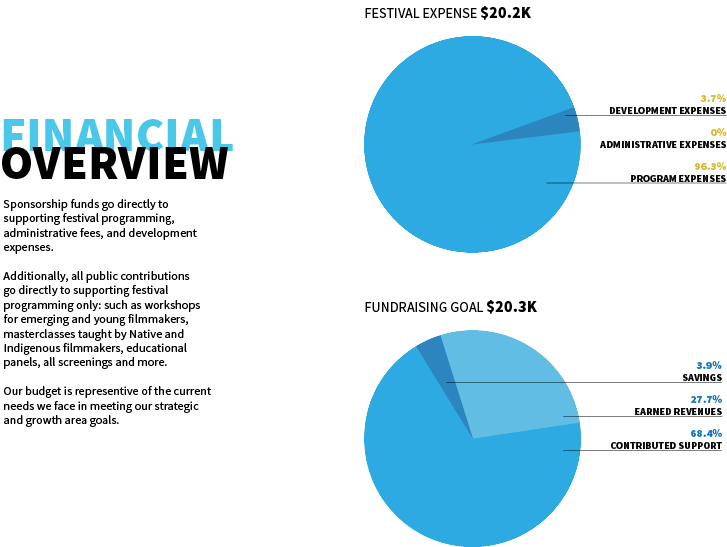 100% of public contributions go directly to supporting festival programming. We celebrate, elevate, and empower Indigenous stories while redefining the narrative of Native peoples, communities, and cultures. Supporting the art of diverse Indigenous and Native storytelling has the power to build stronger community, fortify cultural identity, and inspire the next generation of Indigenous storytellers. We believe creating space for discovery, curiosity, and imagination has the potential to lead to impactful change. Our story began when a collective of like-minded artists and educators from the Pine Ridge Reservation came together with a common goal: use art as a vehicle for creating systemic change on the Reservation. 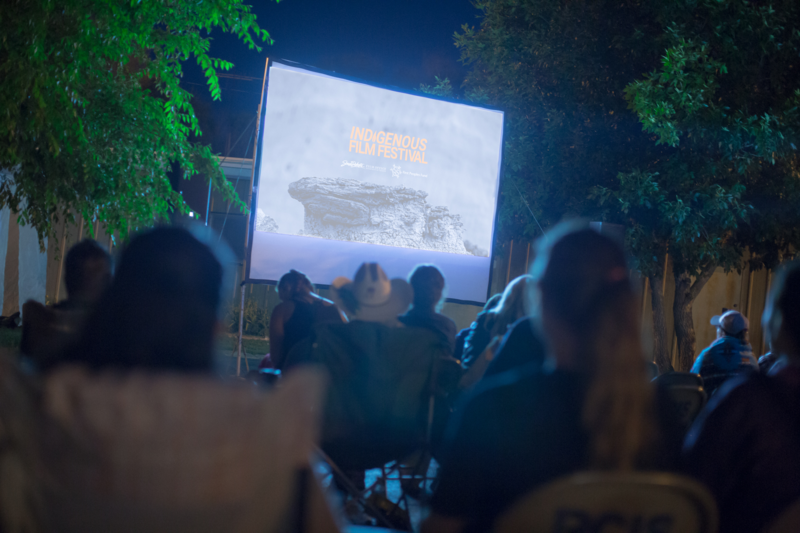 Piloted independently in the summer of 2015 by founding members Angel Two Bulls, Willi White, Angel White Eyes, Jimi La Pointe, Amandeline Ecoffey, Mike Patton, and Shenique Milton as the Guerilla Independent Film Showcase—an outdoor movie experience—the Festival now operates as a community initiative of Indigene Entertainment, LLC and was rebranded in 2016 as the Indigenous Film Festival. 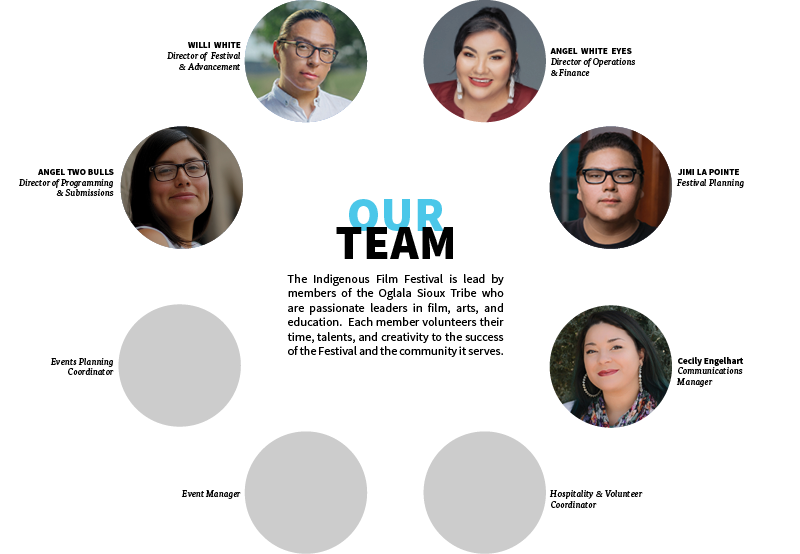 Indigene oversees and manages all aspects of the Festival while recruiting talented and passionate people to plan, coordinate, advise, jury, fundraise, and execute the vision of the Festival. We work to represent Indigenous and Native filmmakers, storytellers, and creators from North American, New Zealand, Australia, the Pacific Islands, and other regions. Working closely with some of the States premier art supporters, we’ve begun to establish relationships with organizations and individuals who believe in Indigenous cinema, including First Peoples Fund, the South Dakota Film Office, and The Heritage Center at Red Cloud Indian School. Additionally, we have been generously supported by the Oglala Sioux Tribal government and the local community. The significance of storytelling is rooted deeply within Indigenous and Native cultures around the world, including the Oglala Lakota oyáte. Oral tradition in our communities not only unites us but passes cultural teachings and practices from generation to generation. We understand, as human beings, that the craft of storytelling has the power to shape culture and incite meaningful and impactful change. That is why we believe creating a space for sharing, supporting, and celebrating Indigenous cinema, filmmakers, and artists are key to inspiring actionable change in the industry and the difficult challenges our Indigenous and Native communities face today. This includes supporting efforts that empower Indigenous voices to be represented in media and entertainment throughout the industry. Through the Festival, we will explore a diverse spectrum of Indigenous storytelling to strengthen heritage and cultural identity in our communities. Hosting engaging panels and discussions with established and growing indigenous artists, filmmakers, and innovators, we hope to inspire the next generation of vibrant Očhéthi Šakówiŋ leaders and Indigenous storytellers. Bringing these resources to the Pine Ridge Reservation, we hope to equip these emerging leaders with the tools they need to succeed and connect them by creating a space to discover, be curious and have dialogues. Furthermore, we envision continuing opportunities of support for these leaders beyond the Festival, whether through year-round workshops, programs, or mentorships. The Festival will strive to bring together, encourage, and build partnerships with local and regional organizations and artists, Tribal and State programs, and established or emerging professionals and influencers in the industries of culture, arts and entertainment. These relationships have the potential to open pathways to opportunities that elicit systems change within our communities and the industry through the use of arts and culture while advancing the exposure of Indigenous made entertainment throughout the state of South Dakota, Indian Country and the world. Encourage young people to tell their stories by giving them the access, tools, and opportunities to be successful—while boosting support for emerging artists. Strengthen and grow key partnerships with organizations whose philanthropic and missions goals align with supporting and advancing Indigenous and Native arts. Engage established and emerging Indigenous and Native artists, influencers, and creators in the industries of film, arts, and entertainment with strategic outreach for mentorship opportunities, partnerships, and collaboration. Establish a framework for the order of operations and develop key leadership and staff roles to support specific organizational goals, while staying abreast of the changing needs of the Festival. Implement a strong fiscal management strategy that is deeply committed to advancing the Festival work, while promoting healthy programming, team support, and artist growth. 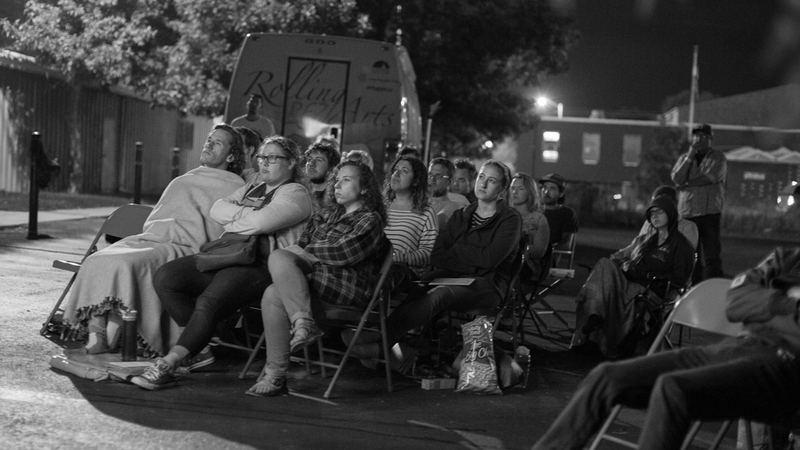 We are growing from a one-night experience to a two-day event with multiple screenings and programming that align with our vision and strategic goals. We will continue this growth each year until our event days match with the Oglala Lakota Nation wačhípi. Over the next few years, we plan to purchase theater and event equipment that will ensure self-sufficiency, produce an extraordinary event, and promote year-round programming and sustainability. Not only will this equipment be a valuable asset to the Festival for years to come, but the community—who will have access to premium event equipment and technology not yet available on the reservation. 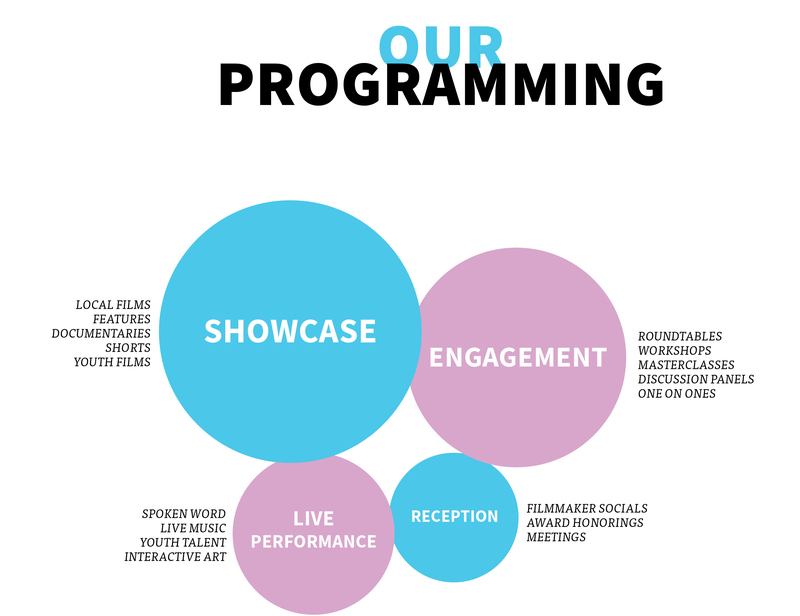 A core value of the Festival initiative is providing reasonable economic support to recruit and retain qualified team members, guest talent, and collaborators whose leadership and guidance will ensure impactful workshops, successful Festival programming, and mentorship that advances Native film and arts. By funding our Festival, you provide the financial support needed to begin the groundwork of advancing representation of Indigenous and Native arts, building an intentional and supportive community of artists, and redefining the narrative of the Pine Ridge Reservation by using art as the vehicle for impactful social change. We have ambitious goals, but we believe in our dreams and in the power of movies. Event sponsors will be recognized in meaningful ways through uniquely developed opportunities that maximize sponsor objectives and partnership building. This will be achieved through brand awareness and visibility, cross-promotional marketing, commemorative festival products, onsite event activities, and other reasonable and innovative opportunities. Additionally, sponsors have the chance to support and present specific activities at the Festival, like film competition awards, showcases, panels, and performances. Along with these opportunities, we will honor all sponsors through our Lakota customs to express our gratitude for their generous support and encouragement. We truly want to develop and create experiences that are meaningful for those who partner and invest in our journey to use art as a vehicle for creating systemic change in our communities. Home to one of the seven tribes of the Očhéthi Šakówiŋ or Seven Council Fires, Wazí Aháŋhaŋ Oyáŋke or the Pine Ridge Reservation is located on the southwestern edge of South Dakota. 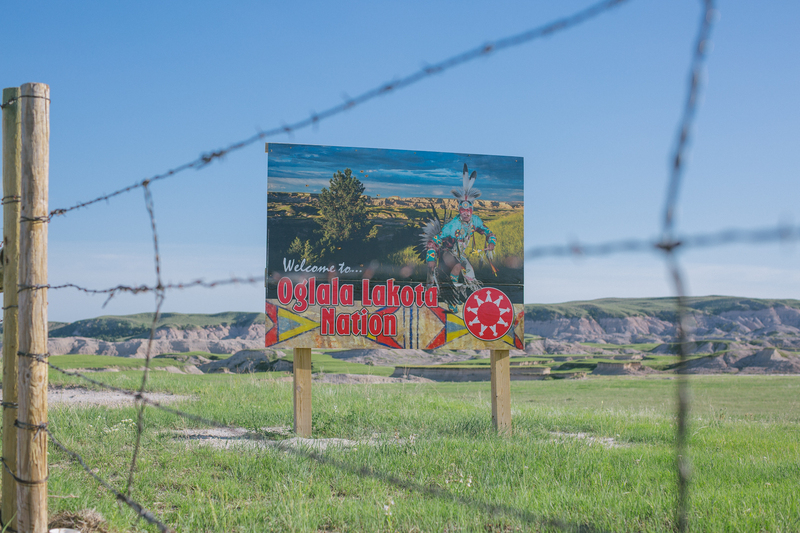 Roughly 30,000 to 40,000 members of the Oglala Sioux Tribe call the Reservation home, an area larger than the states of Delaware and Rhode Island combined. Rich in culture, tradition, and history, the Reservation faces some harsh realities today—the direct result of the historical oppression and systemic injustices. 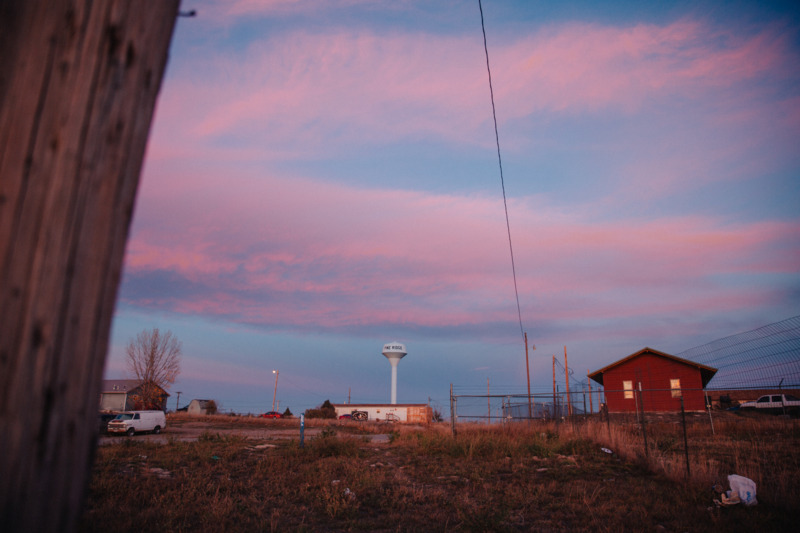 Oglala Lakota County, where the Reservation lies, is considered one of the most impoverished place in the United States and is designated by the United States Department of Agriculture as an area of persistent poverty with very few opportunities of employment. This is often the story told by outside media. Reels upon reels are produced, marketed and profited off sensationalized statistics of poverty, struggle, and challenges faced by many here. But that is not the full story. Today, more and more youth are taking action, seeking change, and demanding a better future. With more than half the population under the age of 18, empowering the youth is fundamental to the health of our communities. Despite some tough statistics and very real challenges, we’re working to flip the narrative. Art, particularly film, has the power to elicit dramatic systems change when empowered and supported. Imagine the seeds we will plant when our Indigenous and Native youth see themselves represented in diverse stories told on and off the screen. We are not yet a 501(c)3 charitable organization, but are working toward this status. All contributions are not tax deductible for this event. No goods or services will be provided in exchange for the contribution. All contributions will be noted as sponsorship investments.